Better than Building! Enjoy picture-perfect views of the entire Front Range from this less-than 1-yr-old custom ranch-style home in the gated community of Calistoga at Flying Horse! 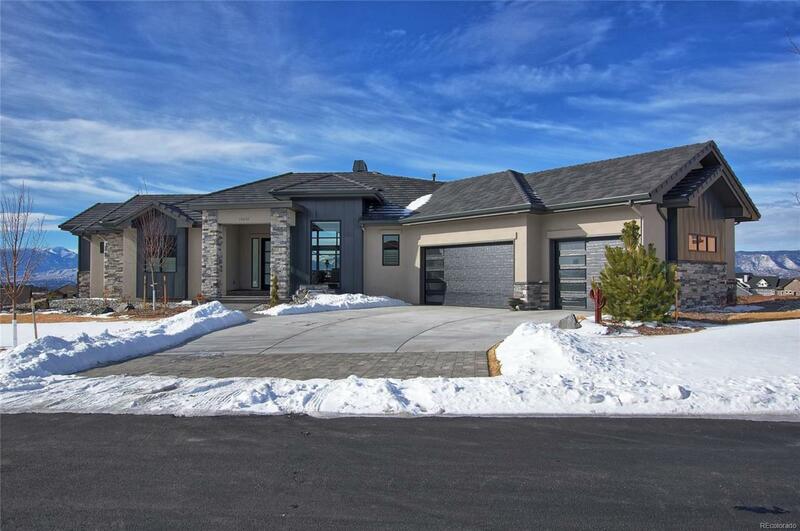 Stunning both inside & out, this immaculate home offers a wonderful blend of high-end finishes, casual & formal living spaces, main level living, professional landscaping and those views! 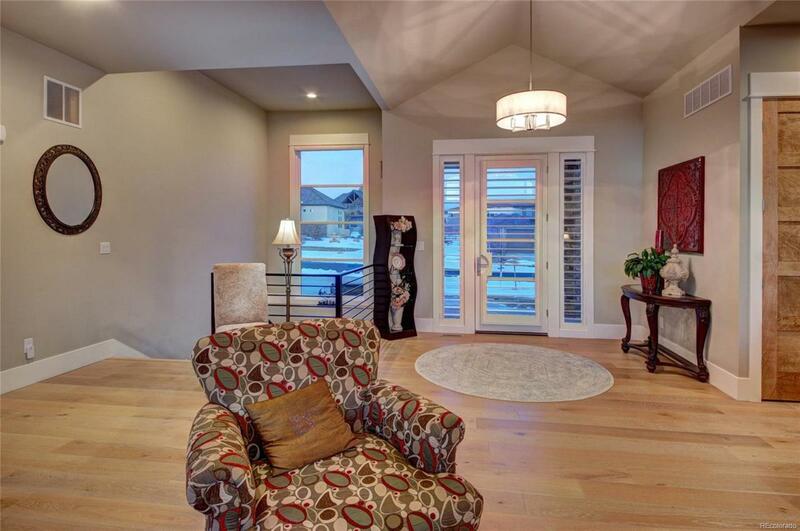 You will enjoy entertaining year-round, both inside & out! Esteemed D-20 schools & easy access to Colo Spgs & Denver, this is one home you dont want to miss! 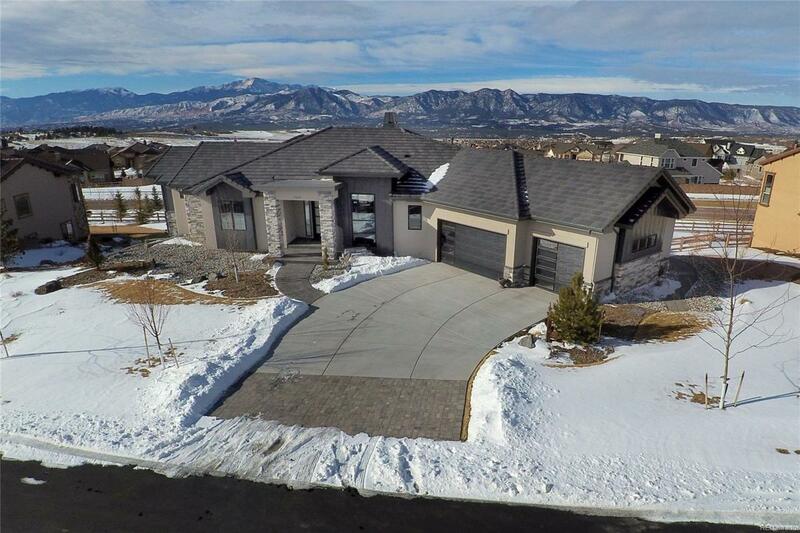 Additional features: Main Level: *Great room with double-sided fireplace, Pikes Peak view framed by the expansive windows *Gourmet kitchen with over-sized island, granite counter tops, Dacor stainless steel appliances, barn door to walk-in pantry, caf shutters, serving bar & dining nook.